How much attention are you giving to the roof that protects your company’s building? Even if you have a roof maintenance and inspection plan in place, a regular inspection from a professional is a wise investment. As the building’s manager, owner, or design engineer, it’s prudent to have a better understanding of what to expect from a professional roof inspection, before you make an appointment for service. To start, you’ll want to gather some documentation, including the roof’s maintenance history, details of the warranty, and as-built plans. 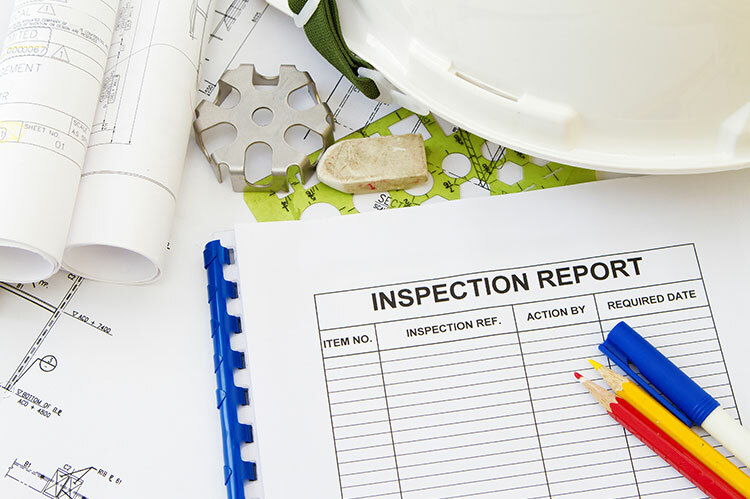 If you can provide digital versions of any of these records, they will help save the inspector time as he or she prepares to evaluate your facilities. With regular inspections, you increase the chance of catching small problems with the roof before they become larger, more difficult, and exponentially more expensive to contend with. You may also need to arrange for professional inspections once or twice yearly to meet the provisions of your roofing warranty. The standard protocol in northern climates is two inspections each year bookending winter. One before the winter season to verify the roof is up to the rigors of the impending harsh conditions and one after to check for any damage left behind. It’s also a good idea to consider an inspection after particularly nasty storms to ensure no damaged was left in its wake. A knowledgeable, licensed and trained roofing professional will help you gain insights into basic processes and tasks you might need to help preserve the value and effective lifespan of your roof. For example, the inspector might note that you should install a walkway for high traffic areas, to avoid excessive wear and tear on a particular section of the roof. Finally, you need to consider secondary losses in terms of money and time. Roof inspections will help you avoid financial hits caused by issues such as water damage. In fact, research shows that proactive inspections and maintenance to a commercial rooftop can cut related spending by 44%! What are Inspectors Looking For? Professional inspectors usually begin by examining the building’s roof system and documenting its layers (which is why it’s useful to provide as-built records for reference). The inspector will look for any defects in the membrane, such as splits or blisters, how severe the problems are and how many need to be fixed. Inspectors examine the roof top details, including any exposed equipment, the perimeter, and the drain. Thermographs and imagery is regularly used for conducting moisture surveys, noting if the membrane or insulation is dry or wet. Another inspection point is roof dividers, which are designed to minimize movement of the roofing system during times of extreme temperature fluctuation. Also crucial to examine are expansion joints, ensuring that subpar materials weren’t used and that they have been terminated correctly. Your inspector will also carefully examine the walls and decks of your commercial establishment, keeping an eye out for damage or any adverse signs of aging. If a poor flashing job allows water to reach the deck ledgers, they are subject to corrosion, which in turn leads to more damage from leaking water. If the metal flashings were not fastened correctly during construction, they tend to expand and contract with fluctuations in temperature, resulting in a loss of integrity in their sealants. A building constructed in a location subject to high winds can experience parts of the roofing system coming off, degrading its strength even more. Spotting such details requires the experienced eye of a roofing professional. Establishing a regular schedule for inspections of your building’s roof pays off in many ways. You’ll be assured that you are adhering to the terms of your roofing warranty while also bettering your odds of catching any small problems early on, when they can be more easily taken care of, decreasing your risk or costly repairs in the future.